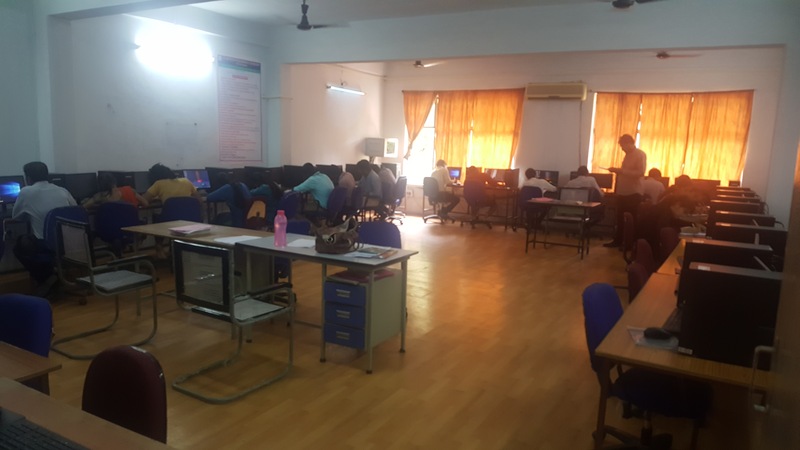 The Department of Information Technology (IT) was established in 1999-2000 with an Intake 60 for in Bachelor course in Information Technology. This Branch is fast growing discipline and full of rigorous practical analysis. 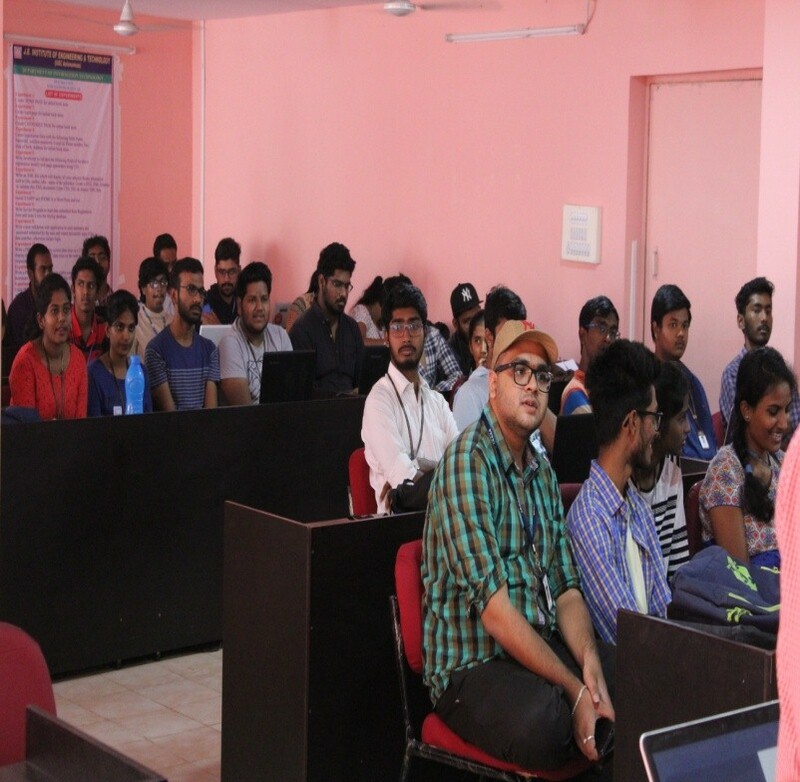 This Department has well equipped laboratories and logical reasoning is stressed in all practical applications. 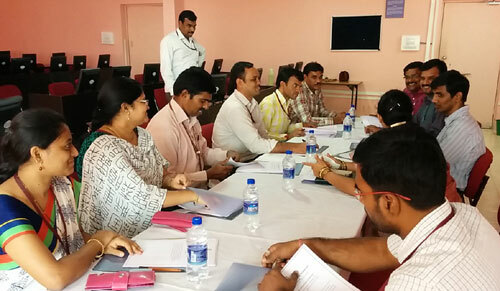 With highly talented faculty, the department boasts of a unique mode of learning, one that uses advanced aids of teaching. 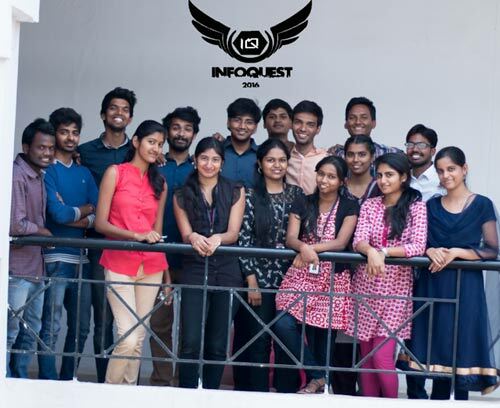 Students of this branch has fulfilled the promise kept on them by getting selection in some of the top notch of software/hardware companies of India like Satyam., Wipro, Infosys, Sierra Atlantic, MAQ Software, Cognizant a provides a high end computer System as an Am facilities to work on various platforms under the age is of well trained faculty. To become a centre of excellence and prepare students as professionals; Carry-high end research to meet the emerging trends in the field of Information Technology, to benefit the society. M1: To impart quality education with multidisciplinary applications to solve complex problems concerning the industry. 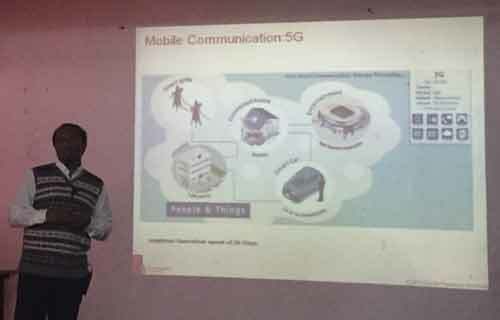 M2: To Create research environs in Information technology and prepare students accept futuristic global challenges. M3: To encourage entrepreneurship for innovation, inculcate sense of social responsibility and ethical values. The Department has latest computer systems, Upgraded software's and Exclusive lab for each subject with 1 to 1 ratio. Turbo C/C++,MS Word, Wire Shark. QTP,Selenium, Quality center,Test Link,Bugzilla, Cent OS,Putty. 2 Dr.N.Naveen Kumar BE, ME, Ph.D Assoc.Prof. 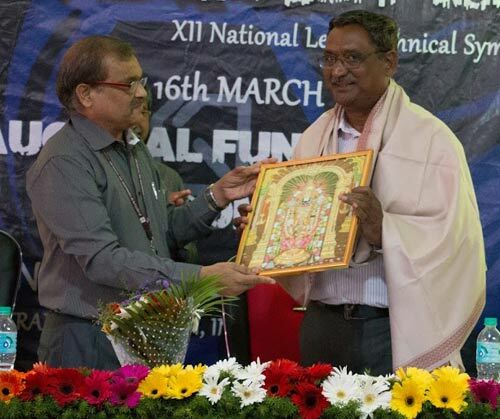 3 Dr.L.Sridhara Rao B.TECH, M.TECH, Ph.D Asst.Prof. 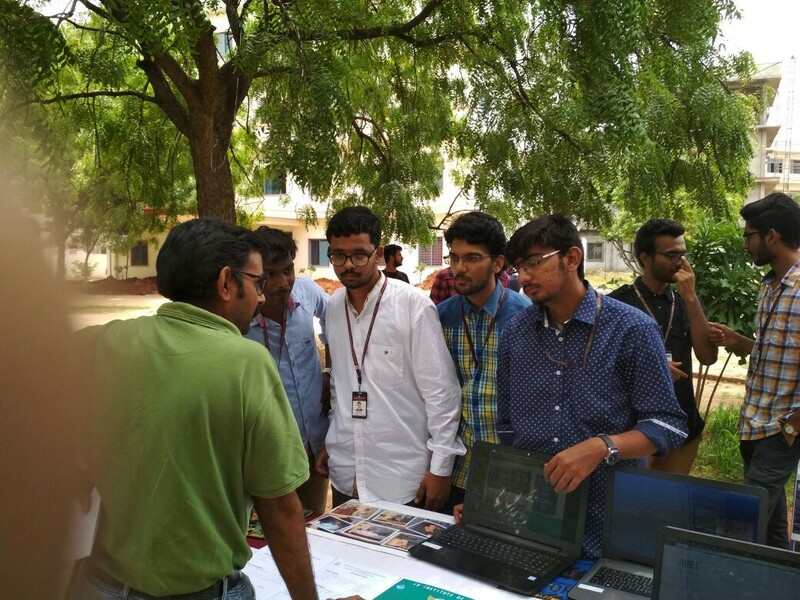 4 V.Krishna Reddy B.E, M.TECH Assoc.Prof. 5 M.Ravi B.TECH, M.TECH Asst.Prof. 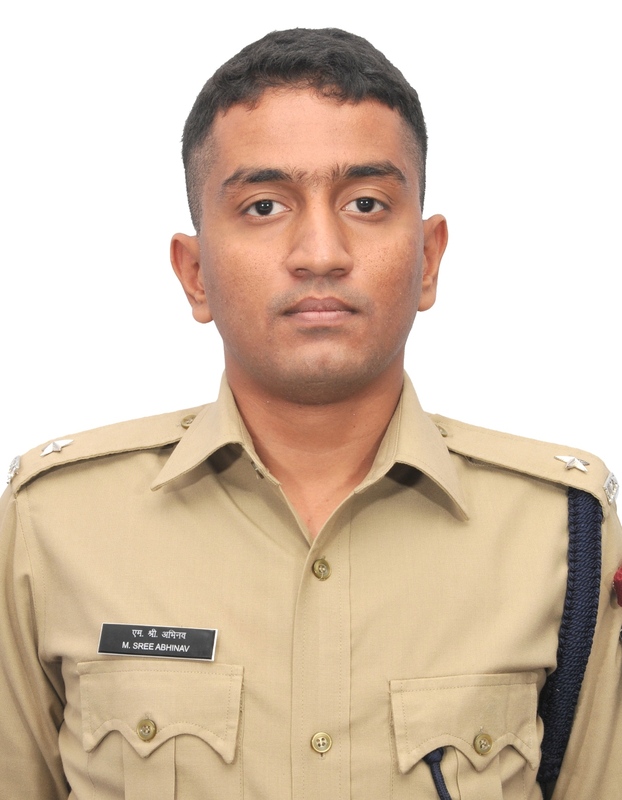 7 B.Vijay Kumar B.TECH, M.TECH Asst.Prof. 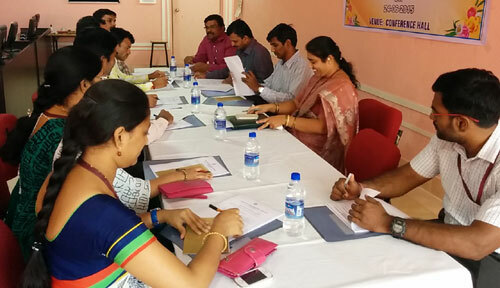 8 Mastanvalli B.TECH, M.TECH Asst.Prof. 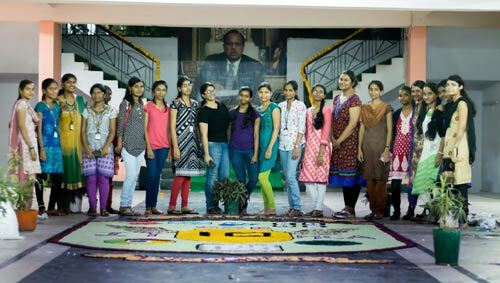 9 B.Deepthi Reddy B.TECH, M.TECH Asst.Prof. For the Benefit the students, We are proving course Material from Repudiated Institutes like.IIT etc. 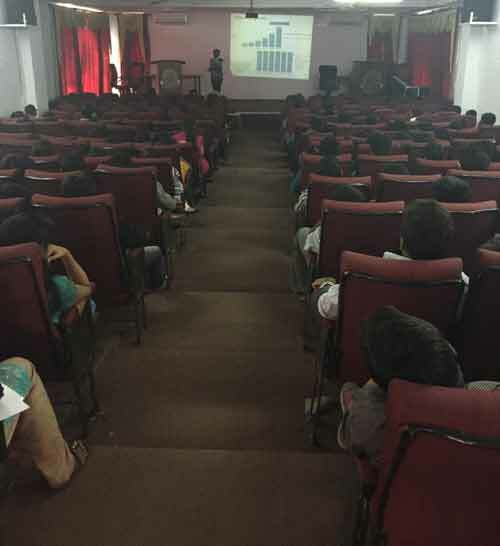 We have Digital library facility, Which includes Video courses from Stanford University, MIT, UCBERKELY, University of South CAROLINA, YALE, IGNOU, Indiana University, University of California, Western Kentuky University ....etc. Secret data communication using image and videowatermarking, IJCSIET--International Journal of Computer Science information and Engg., Technologies ISSN 2277-4408 || 01092016-005, Sep-2016. An Innovative mark Method for Audio Visual Aid on Storage Areas, IJRECS @ Sep- 2016,Volume-4/Issue-9/6617-6622. “Security Upgrading Strategy for Consolidating Captcha Utilizing a Graphical Secret Word on Difficult Issue in AI”, IJRECS @ Nov – Dec 2015, V-5, I-2 ISSN-2321-5485 (Online) on Nov – Dec 2015. “A Review of Network Intrusion Detection and Countermeasure Selection in Virtual Network Systems”, IJSETR,ISSN 2319-8885 VOL4,ISSUE 57 DEC 2015. M.A.Muneer, “Secure Multiparty Computation by using Data Mining in Cloud” in International Journal of Computer Science information and Engg., Technologies. ROBUST MONITORING OF LINK DELAYS AND FAULTSIN BINARY NETWORKS, International Journal Of Global Innovations -Vol.6, Issue .I, Sep-16. A TYPICAL MODEL FOR REDUCING THE LEVEL OF VISUAL DISTORTION, IJRRECS/September 2016/Volume-4/Issue-9/6629-6634, Sep-16. V.Krishna Reddy “Private Record matching using a Hybrid Approach” in Internatioanal Journal of Innovbative Technologies, Volume 1, Nov-13. V.Krishna Reddy “Design, Implementation and Evaluation of Knowledge based authentication mechanism using persuasive cued click points” in International Journal Of Reviews On Recent Electronics And Computer Science(IJRRECS) Volume 1 Issue -6, October 2013, ISSN-2321-5461. A Unique Structure For Identifying Unauthenticated Nodes In Unwired Sensor Net, IJRECS @ Sep- 2016,Volume-4/Issue-9/6611-6616. Published International Journal Of advanced Computer Technology on Forecasting and Control of Future Values On Spatial-Temporal Prediction. Published International Journal of Computer Science information and Engg., Technologies on Secure Multiparty Computation by using Data Mining in Cloud. Image Denoising in Palmprint Authentication system Using Wavelet Thesholding Techniques. Byantine-resilient protected Multicast Routing In Multihop Wireless Networks. “Database Schema Paralleling Utility”National Conference on Advancement and Innovations in Engineering, Technology & Management Journal Partner International Journal of Innovative Engineering IN 2015 ISBN: 978-93-85100-35-2. “Efficient Multi deployment and Multi snap shooting: Side by Side on Clouds” National Conference on Advancement and Innovations in Engineering, Technology & Management Journal Partner International Journal of Innovative Engineering IN 2015 ISBN: 978-93-85100-35-2. “CONTENT DEPLOYMENT BY VIRTUE OF DERIVED COMMUNITIES” International Conference on Computer & Communication Technologies Journal IJACEEE with ISSN: 2248 – 9584. Paper Published on “An Assessment on Enhancement of Cloud Using Fog Computing by Administering Decisive Latency and Portability with Decoy Technology”, International Journal of Innovative Research in Science, Engineering and Technology (An ISO 3297: 2007 Certified Organization) ISSN: 2319-8753 ,Vol. 5, Issue 12, December 2016. “Cipher Text Design with Asymmetric RSA Algorithm” International Journal of Advanced Engineering Research and Science (IJAERS), [Vol-3, Issue-12, Dec- 2016] ISSN: 2349-6495(P) | 2456-1908(O). A Survey on Secure Fog Computing: Providing Data Security through Encryption National Conference on Recent Trends in Big Data Analytics and Cloud Computing January 4-5th, 2017 @ CSED, VJIT Hyderabad, Telangana, INDIA. 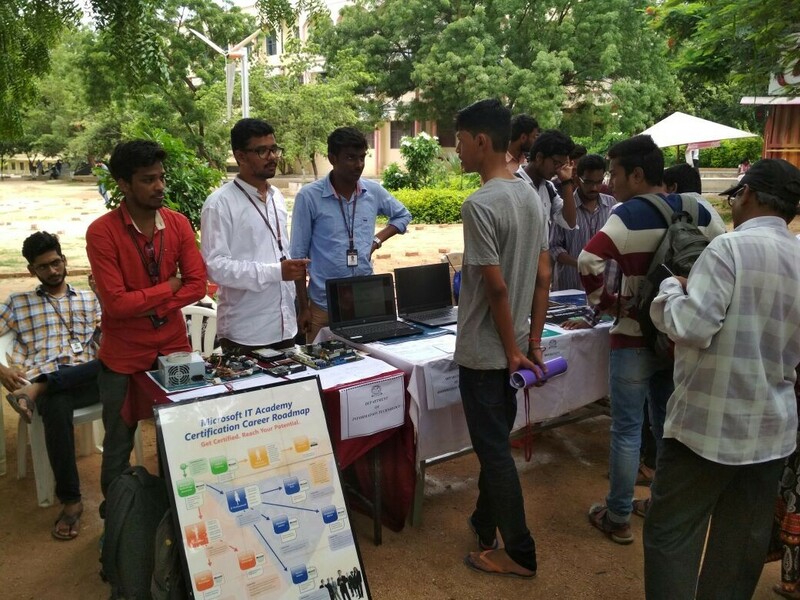 Deepthi Reddy “An Envoy Based Scheme for Metropolitan Portage on Cloud” in International Journal of Innovative Research in Science, Engineering and Technology (An ISO 3297: 2007 Certified Organization) Vol. 4, Issue 8, August 2015,ISSN: 2319-8753,impact factor:5.442. Deepthi Reddy “Encrypted Evidence exploration of Velutinous Access in Cloud Computing”International Conference On Computer & Communication Technologies Journal IJACEEE With ISSN: 2248 – 9584. Deepthi Reddy "A Frame Work for Clustering Conception - Migrant on unconditional Data" International Conference On Computer & Communication TechnologiesJournal IJACEEE With ISSN: 2248 – 9584. Paper Published on “An Assessment on Enhancement of Cloud Using Fog Computing by Administering Decisive Latency and Portability with Decoy Technology”, International Journal of Innovative Research in Science, Engineering and Technology (An ISO 3297: 2007 Certified Organization) ISSN: 2319-8753, Vol. 5, Issue 12, December 2016. “Digital Image Encryption Based on Stochastic Diffusion”,IJCST vol.5,issue 4,Oct-Dec 2014. ‘Formalization and Verification of Group Behaviour Interactions’, IJR ISSN 2348-6848 Volume 6,issue-07, March 2018. ‘A Novel Method For maintaining cache consistency in wireless mobile networks’, IJIACS ISSN 2347 – 8616 Volume 6, Issue 12 December 2017. "AN USER-FRIENDLY RECITAL TELLER SYSTEM”, IJPAM ISSN 1314-3395 Volume 119, issue-special, 2018 (Scopus Indexed). “Anomaly Techniques for Flooding Attack Detection by Wireshark” International Journal of Research, e-ISSN: 2348-6848 p-ISSN: 2348-795X Volume 05 Issue-01 January 2018. “Critique of Web Recommendation System for Time Series Datasets” IJRECS @ Oct – Nov 2014, V-2, I-2 ISSN-2321-5485. “A Rigorous Dual-Layered Prevalent Model For Disrupt Propagation from Network to Network”, IJRECS @ Sep- 2016,Volume-4/Issue-9/6617-6622. “Privacy Preserving Public Auding For Regenerating-Code-Based Cloud Storage”, IJRECS @ Sep- 2016,Volume-4/Issue-9/6605-6610. "Robust Monitoring Of Link Delays And Faults In Binary Networks", International Journal Of Global Innovations -Vol.6, Issue .I,sep-2016. Smriti Agrawal, B Madhavi Devi, Ch. Srinivasulu, “A Total Need Based Resource Reservation Technique For Effective Resource Management", in International Journal of Computer Applications (IJCA), Volume 67, April 2013, ISSN 0975-8887 Impact Factor of 0.86. B Madhavi Devi, Smriti Agrawal, Ch. Srinivasulu, “An Efficient Resource Allocation Technique For Uni-Processor System”, In International Journal Of Advances In Engineering & Technology (IJAET) Volume 6 Issue 1, March - 2013, ISSN: 2231-1963, pp 353-360, Impact Factor of 1.07. A.Manasa, B.Madhavi Devi, Ch.Srinivasulu, “Competent Pattern Recognition Intended For Textmining”In International Journal Of Reviews On Recent Electronics And Computer Science(Ijrrecs) Volume 1 Issue -6, October 2013, ISSN-2321-5461, pp 1423-1428. Navaneetha, B.Madhavi Devi, Ch.Srinivasulu, “Liability For Data Distribution In Cloud Computing” In International Journal Of Reviews On Recent Electronics And Computer Science(Ijrrecs) Volume 1 Issue -6, October 2013, ISSN-2321-5461, pp 1435-1440. K.Shashidhar, B.Madhavi Devi, Ch.Srinivasulu, “Facilitating Of Proficient Keyword Search In Cloud Computing” In International Journal Of Reviews On Recent Electronics And Computer Science(Ijrrecs) Volume 1 Issue -6, October 2013, ISSN-2321-5461, pp 1453-1458. B Madhavi Devi, Smriti Agrawal, Rajeshwar Rao, “EFFICIENT RESOURCE RESERVATION POLICIES FOR EFFECTIVE RESOURCE MANAGEMENT USING RESERVATION POOL”, presented in Second International Conference on Emerging Research in Computing, Information, Communication And Applications - ERCICA-2014, August 01 - 02, 2014, Bangalore, India. B Madhavi Devi, Smriti Agrawal, Rajeshwar Rao, “EFFECTIVE RESOURCE MANAGEMENT TECHNIQUES USING RESERVATION POOL” presented in IEEE International Conference on Recent Advances & Innovations in Engineering" (ICRAIE-2014), May 09-11, 2014. IEEE Conference Record # 33681. 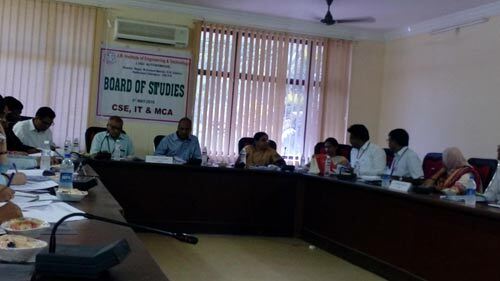 B Madhavi Devi, Smriti Agrawal, “Woman Empowerment – Role of Information and Communication Technology” presented in International Interdisciplinary Congress on Women 2014(IICW 2014) –Hyderabad, India, Aug 17-21, 2014. Two days International conference on Smart Systems by JBIET. 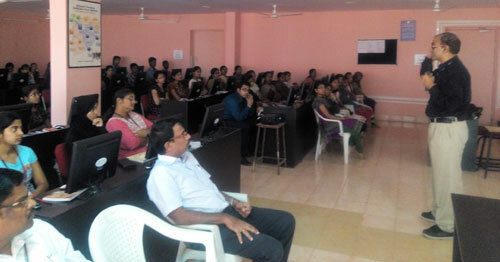 Two days ISTE workshop on “Research Methodologies on Education” conducted by IIT Bombay on 2nd &9th February 2013. S. Divya “An Envoy Based Scheme for Metropolitan Portage on Cloud” in International Journal of Innovative Research in Science, Engineering and Technology (An ISO 3297: 2007 Certified Organization) Vol. 4, Issue 8, August 2015,ISSN: 2319-8753,impact factor:5.442. 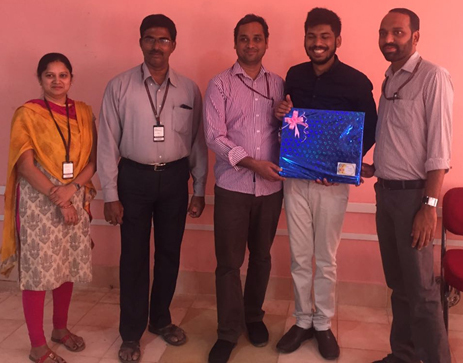 Attended 1 week hands on experience faculty development programme on “INTERNET OF THINGS” organised by NIT Warangal from 9th OCT 2017 to 14th oct 2017. 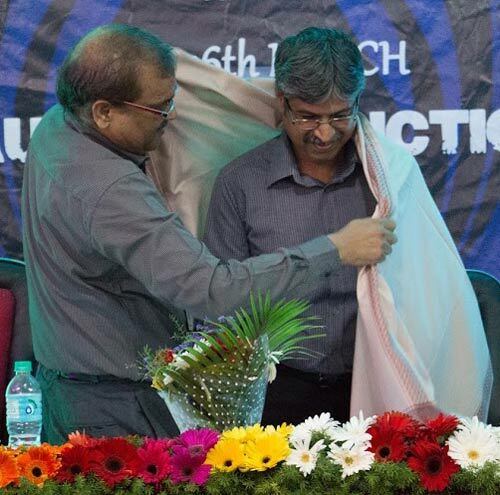 Participated in the first international conference on advances in soft computing and communication technologies held at vignan institute of technology and science Hyderabad on 27th & 28th August 2014. 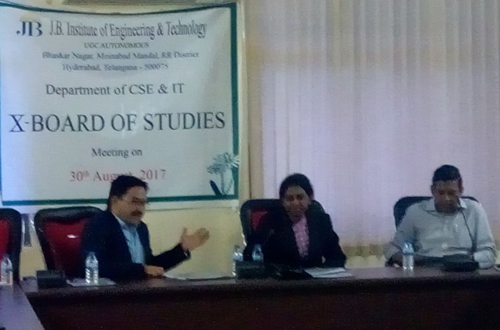 Attended 10 days FDP on Software Engineering and Testing Methodologies organized by E & ICT Academy at NIT Warangal from 5th May, 2017 to 14th May, 2017. Attended Two Day Faculty Development Programme on significance of outcome based education in achieving excellency,21st April-22nd April 2017. Attended 1 week workshop on Statistical Analysis With R conducted by NIT Warangal @ JBIET,18th March-23rd March 2017. 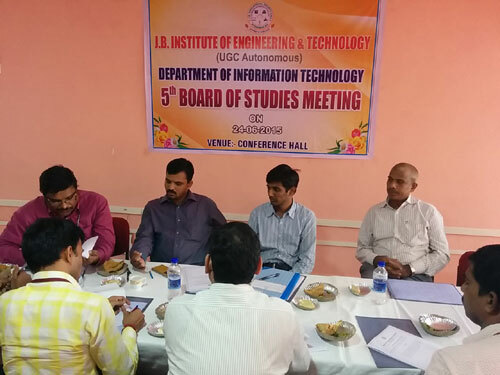 Attended two day workshop on Research Methodologies in Engineering,Science,Management organized by R & D Cell, JBIET from 28.2.2014 to 1.3.2014. Attended two day workshop on Intel @ Embedded Initiative Educator development program organized by UIIC JNTUH from 04/12/13-05/12/13. Attended one day workshop on SYSTEM INTEGRATION organized by MICROSOFT & IEG/JKC on 20/2/2009. Attended 3 days workshop on EFFECTIVE TEACHING AND LEARNING PROCESS organized by JBIET from 4/12/06 TO 6/12/06. 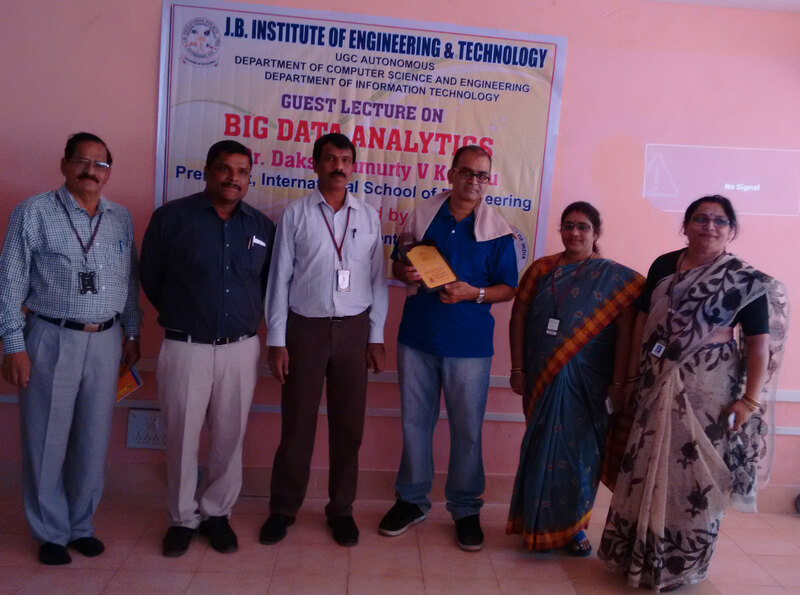 • Attended 1 week workshop on “Data Science and BIGDATA analytics” at CMR institute of engineering and Technology conducted by ICT academy on 9th april 2018 to 13th april 2018. Attended Five-day workshop on teaching learning pedagogy organized by JBIET, in association with Mission 10X programme of Wipro Foundation from 6th June 2011 to 10th June 2011. 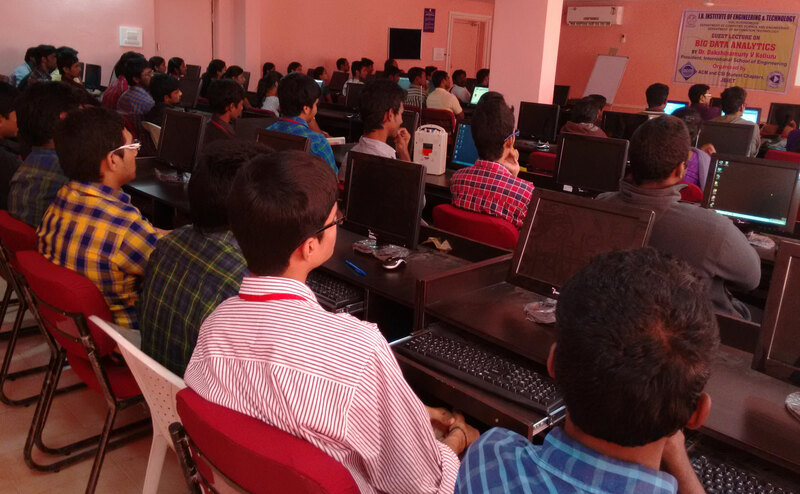 Attended one day workshop on LINUX IN HIGHER TECHNICAL EDUCATION organized by JBIET in 09-03-2007. Attended one day workshop on Personality Develoment organized by KRISH in 25-07-1998. 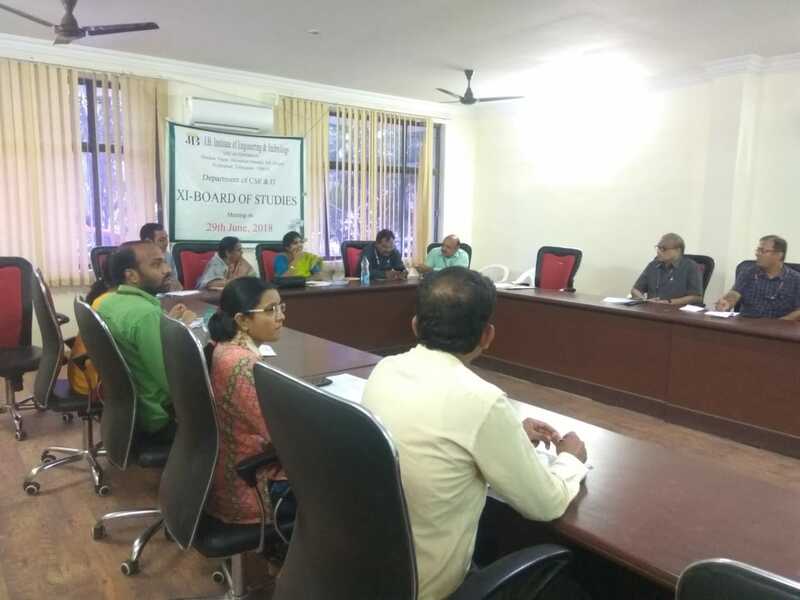 Attended 1 week workshop on Statistical Analysis With R conducted by NIT Warangal @JBIET,18th March-23rd March 2017. Attended 1 week workshop on Statistical Analysis With R organized by NIT Warangal,26th Nov -1st Dec 2016. Attended 2 day FDP conducted by Microsoft organized by JBIET,14th March-15th March 2016. 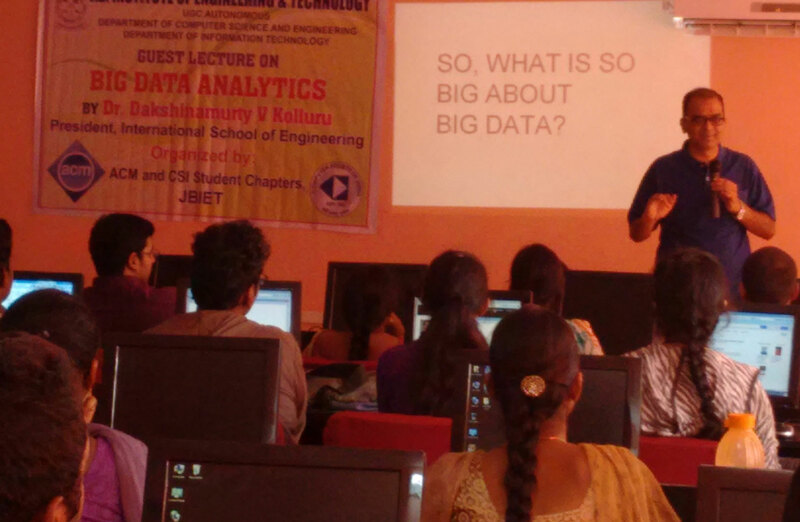 Attended 1 week workshop on Big Data Analytics organized by JNTUH jagithyala,14th dec-20th dec 2015. 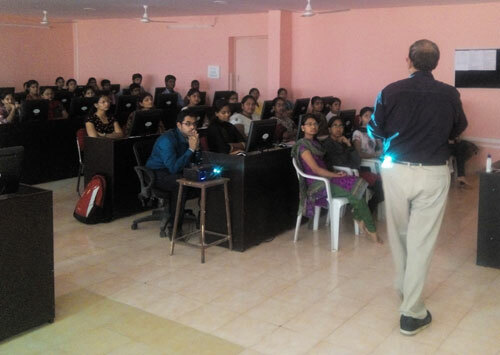 Attended 1-week workshop on Training Programme For the Teachers of Engineering Colleges, Sponsored by APSCHE in Association with JNTUH conducted at NMREC, Divyanagar, Uppal. 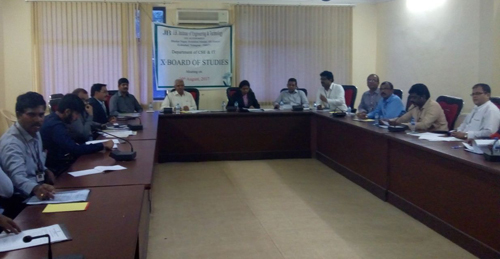 Attended workshop on Effective Teaching and learning process conducted at JBIET, Hyderabad. Attended 1 week workshop on Effective Teaching Methodology & Best Practices organized by JBIET,5th Dec 2016-9th Dec 2016. Attended Doctoral Research Symposium organized by Gurunanak College Of Engg And Technology. 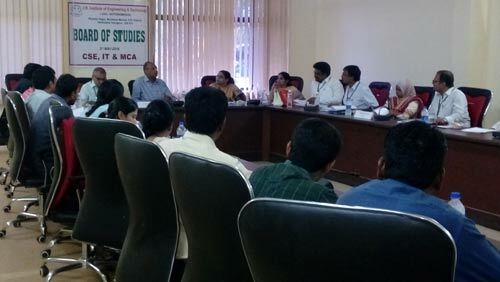 Attended one Day workshop on "Mathematical Ideas for Graduate Students" organized by AIMSCS, 28th Jan, 2015. Attended Two Day Faculty Development Programme on Teaching Methodology, 12th& 13th Jan, 2012. Ratified by JNTU - HYD in April, 2014. Attended 1 week workshop on “Recent Advances and applications in cognitive computing” from 28 may 2018 to 02 june 2018. Attended 5 days workshop on National entrepreneurship network organized by Anurag Group Of Institutions,4th july-8th july 2017. Attended 1 week workshop on Effective Teaching Methodology & Best Practices organized by JBIET,22nd Feb -28th Feb 2017. 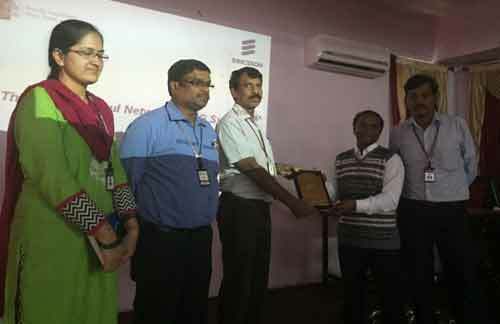 Attended one day workshop on National Workshop on A-View organized by NMEICT(MHRD) in 25/09/2012. Attended two day workshop on National Conference on Computer Vision &Image Processing organized by JBIET Hyderbad from 17/12/2012-18/12/2012. Attended two day workshop on “Virtualization and Cloud Computing “ from 24th and 25th Sept, 2010 at UGC ASC, JNTUH, Hyderabad. Attended four day workshop on Certificate in Information TechnologyCIT organized by IIIT Hyderabad from 1/11/2010-4/12/2010. Attended 3 Day Quality Improvement Programme on “Instructional Design and Delivery”, 02/06/2014 to 04/06/2014. 1. 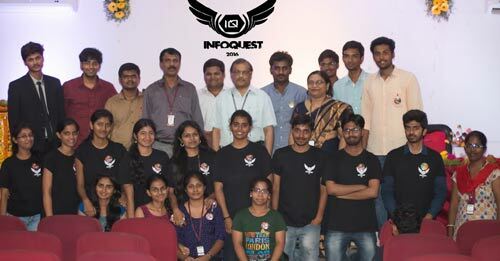 Ajay Sharma, Roll No: 17671A1201 Winner of Hyderabad Angel hack Global Hackthon Series 2nd and 3rd June, 2018. 2. Ajay Sharma, Roll No: 17671A1201 selected to be a part of the Facebook Hackday on 12th Nov, 2017 in Hyderabad which is a part of the Facebook Global Community Challenge. Google Skilling India Initiative seminar organized by IT on 08/08/2018. 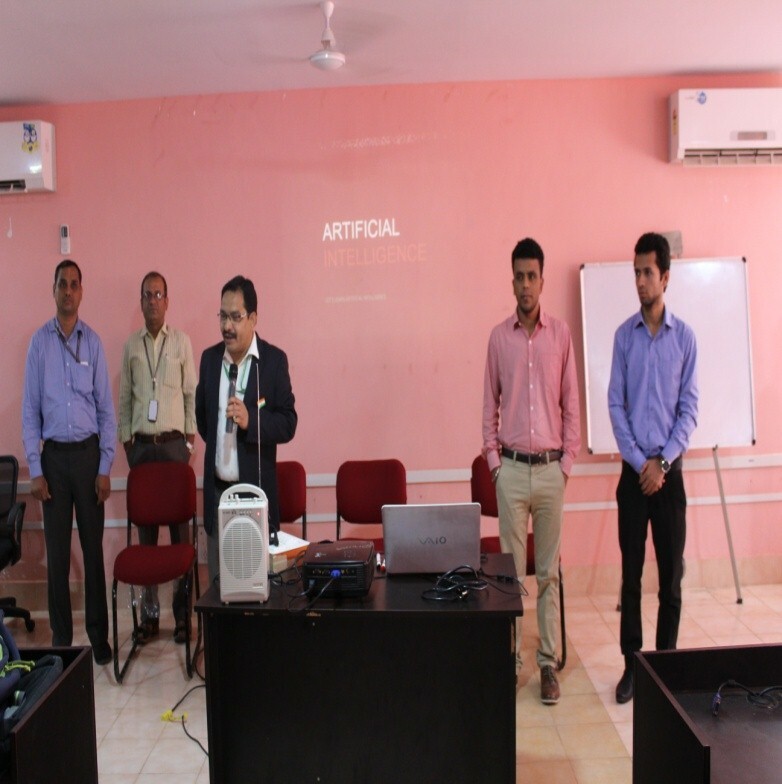 A Seminar on “Machine learning” organized by IT department in coordinance with hack hub on 16/09/2018. 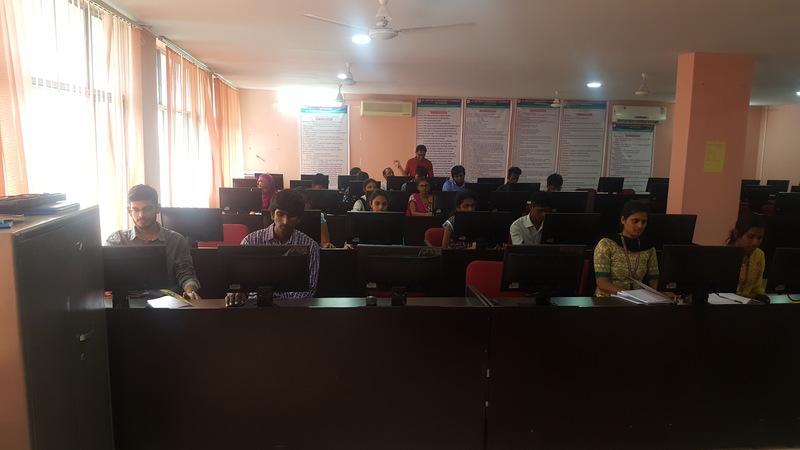 An orientation program on “E-cell” organized by IT department, on 15/09/2018. 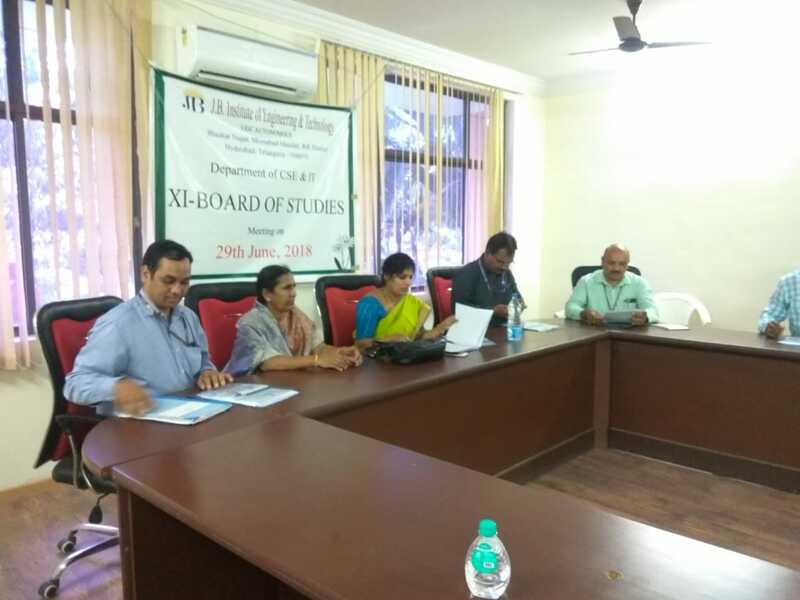 11th BOS Meeting Conducted in JBIET for IT & CSE on 29th JUNE 2018.